CMPak’s Pakistani cellular arm, Zong, has joined hands with the Korean handset Samsung in order to launch the latest flagship device, the Galaxy Alpha to its valued users in Pakistan. The new handset is the first ever device to feature as Pakistan’s 1st ever smartphone with 4G LTE offer free of cost. The Samsung Galaxy Alpha is the latest iconic device from Samsung and an answer to the critics who discarded the Galaxy S5 due to its plastic finish. The new smartphone is loaded with a 4.7 inch Super AMOLED screen glass, a gigantic Exynos 5 Octa-core 5430 processor(Quad-core 1.8 GHz Cortex-A15 & quad-core 1.3 GHz Cortex-A7), a massive default memory of 32GB and a main shooting sensor of 12MP with LED flash. There is another secondary camera of 2.1 MP which sits at the front for selfies and video calling. 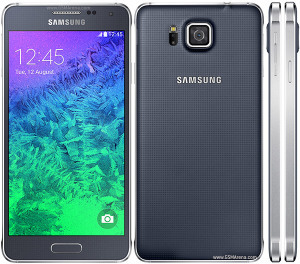 The Galaxy Alpha operates on the on the Android 4.4 Kitkat and packs an alongside 2GB of RAM. The battery of this device might discourage customers as it is enveloped with a 1860mAh battery. At present, it is delivered in a plethora of eye-catching and sophisticated 5 colors namely Charcoal Black, Sleek Silver, Dazzling White, Frosted Gold and Scuba Blue. Zong has made this device available at its customer services centers and outlets all across the country with a Free Zong 4G LTE 6GB Data valid for 3 months. As far as the price of this latest handset is concerned, it is paced with a hefty price tag of PKR 69,999 at Zong stores.